Suppliers of Old Fashioned Sweets. We supply old fashioned sweets to the public as well as retailers. 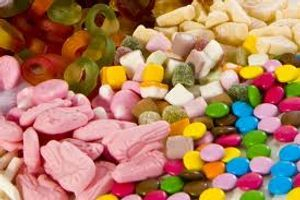 We are a small business and our focus is on providing good quality old fashioned sweets at affordable prices together with a high standard of service. We pack all the sweets and label them with clear ingredients and contents. The packets are simple and see through, so you can see what you are buying. Our aim is to ensure that everyone can enjoy sweets from days gone by without having to pay a lot of money for.